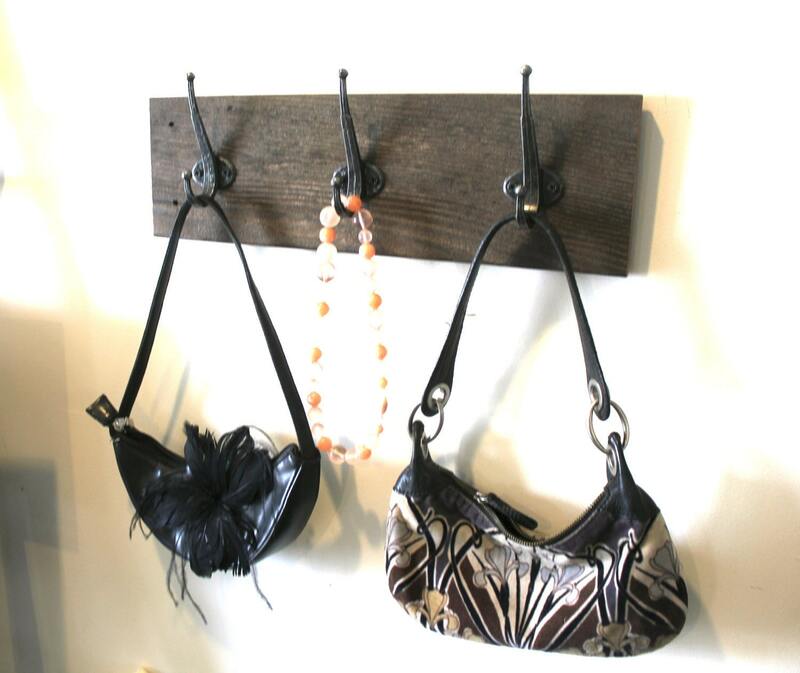 The 3 distressed metal hooks create an elegant look. 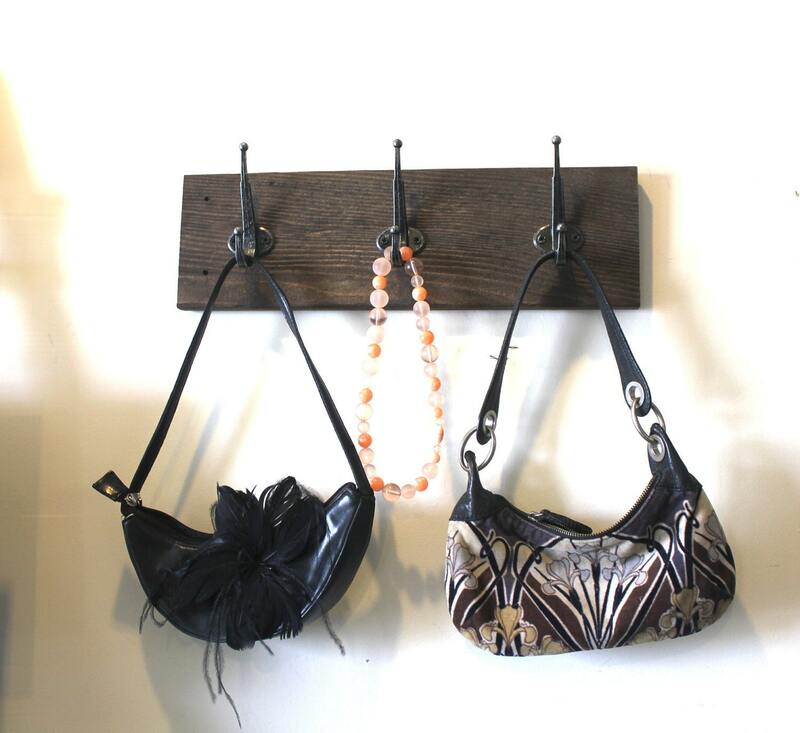 These double hooks make a great way to hang purses, scarfs, jackets and more. Size approx. 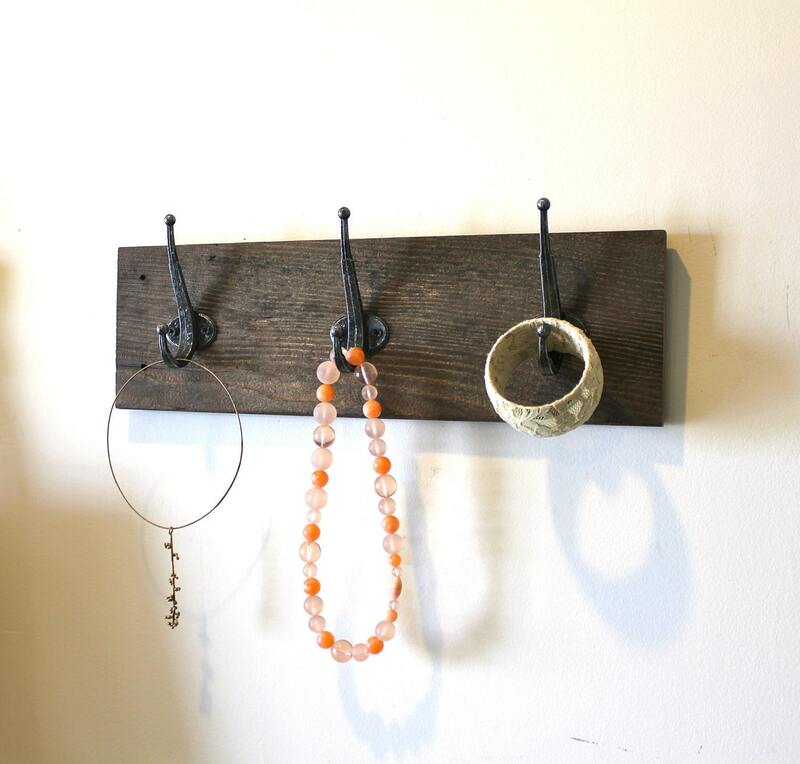 18" x 5 1/2"
I usually hide the pre-drilled hole behind two hooks. 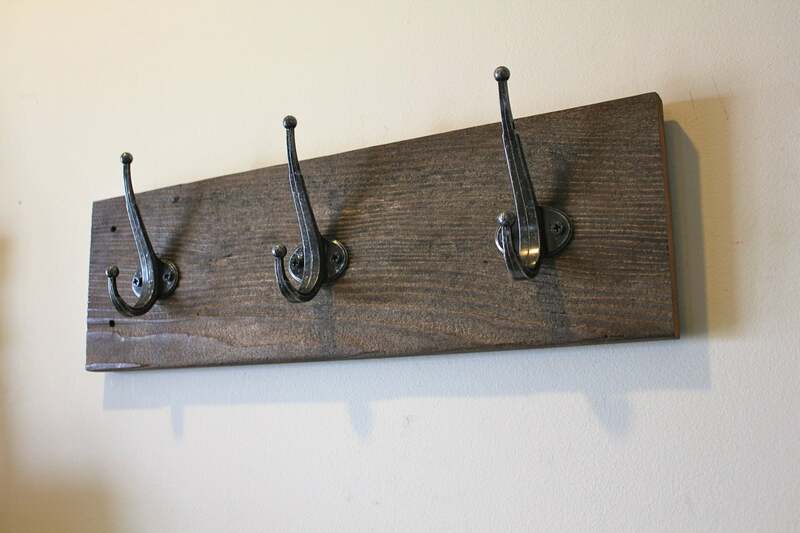 You can install the two hooks with a screw driver after you screw the hook board directly into the wall. If you prefer this installation method, just purchase the rack you prefer and make a note in the message to seller upon etsy checkout stating that you want the direct screw mount installation. 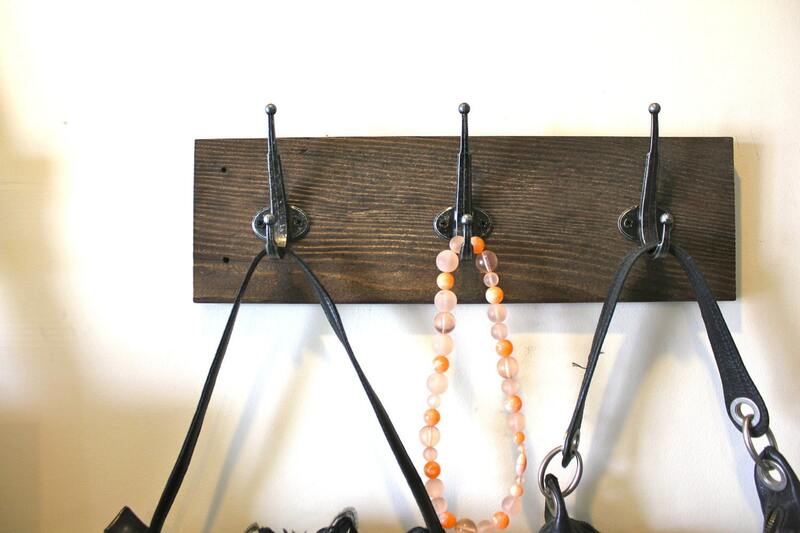 I can create this alternative hanging method free of charge.